The last few days had been hectic with packing. I'm spending my birthday weekend in Berlin and as usual, I was busy with clearing my kitchen of perishables. That included some very nice Italian plums that I unwisely purchased (they were so so so nice!) and I had to carved out precious blocks of time to turn them into the Christmas preserve they are destined to be. 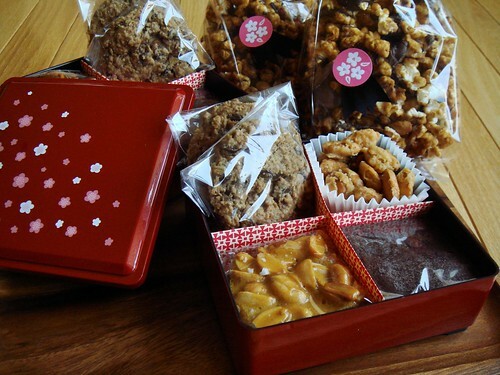 I cannot wait to send them out as part of my holiday gift basket this year to friends and family! 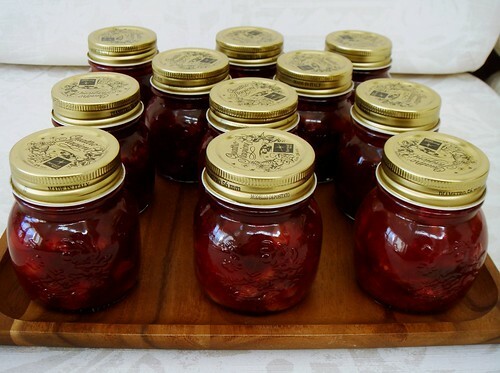 This plum conserve is everything Christmas tastes like to me. Oh yes, Berlin. I'm at the airport right now and barring some weird consequences, will arrive in this cosmopolitan city Thursday morning for a long weekend of skating, racing, hanging out with friends, eating, shopping, and sightseeing! The original plan for this year was a very competitive event in which I'll get to test myself against some of the best European skaters at the biggest inline skating race in the world. Unfortunately, the string of crashes (nine at last count) this year absolutely derailed my plans and my expectation is merely to finish the race safe and sound. My plan this year is to check out the course so I can return next year ready to race. This change eases off any racing stress and I'll get to enjoy all that this historical city has to offer. Internet access over the next few days will be spotty at best but I hope to keep you up to date with all the sights and sounds of Berlin. I left plenty of room in my suitcase. You know what that means? Retail therapy is in order! Long before I learned to cook, I had a few trusty potluck standbys. Back in those days, my friends and I went through a phase of potluck dinners parties. 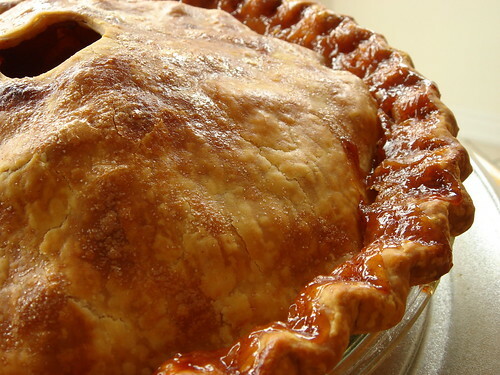 Foisting a previously untested recipe is risky at best but contributing the same dish every time screams boring. 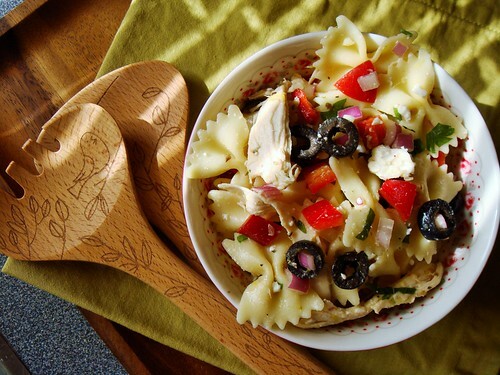 Pasta salad was one of my signature dishes I kept on rotation. It was reliable, predictable, and colourfully appealing. Best of all, I could make the dish ahead of time and the flavour would only improve with an overnight rest in the fridge. My version of pasta salad has a strong Mediterranean influence. I pack the salad with roasted chicken pieces, black olives, sweet red peppers, crumbled feta cheese, and red onion. The dressing has the bright flavour of lemon zest, lemon juice, dried oregano, and olive oil. 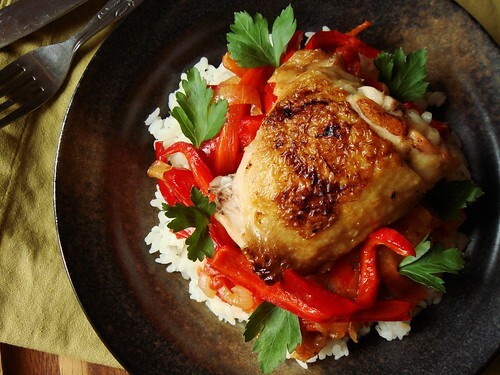 It is absolutely a beginner cook’s best friend and doesn’t require much cooking know how. If you can cook pasta, cut vegetable, tear apart a roast chicken, and whisk together a vinaigrette, you can do this. When it rains, it pours. As if nursing all my bandaged wounds is not enough, I caught a cold and I want my mommy. How am I going to manage to race in Berlin next Saturday?! There are many home remedies for the common cold. Friends have kindly contributed their tried and true methods including garlic, green juice, chicken soup, wool socks, and be happy. I keep a jar of brandied cherries in the fridge and it is typically my preferred cold remedy. There is no reasoning behind this choice except that I love brandied cherries and they don’t hurt my sore throat. The generous amount of booze also helps a bit, I suppose. This time around, I’m taking my cold seriously since I cannot afford to be weak before flying to Germany. Plenty of rest, water, and soothing Neo Citran are doing wonders but I still need to eat. Weight loss is an issue when I’m sick so eating plays an even more important role than usual the last couple of days. Set aside my prejudice that muffins are not the healthy breakfast option it aims to be, I love to bake muffins. They are not challenging. They barely dirty any mixing bowls. 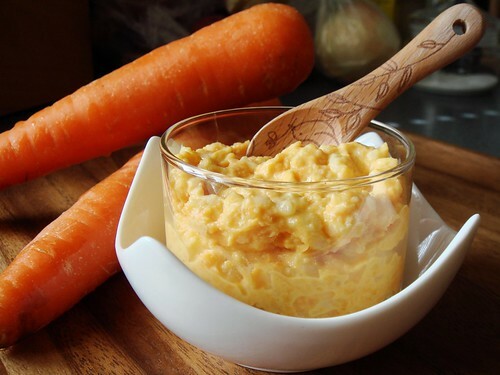 They can be made from pantry staples without a special trip to the grocery store. 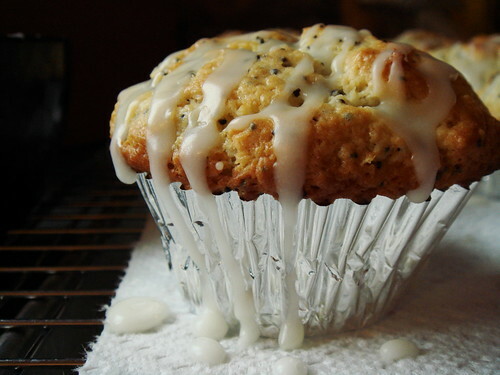 I always feel a bit nostalgic because muffins are one of the first North American treats I learned to bake. My best friend remembers in vivid details the time she stayed over at my place and woke up to the smell of freshly made blueberry muffins. That must have been over ten years ago. It was a small gesture on my part because the house was devoid of breakfast food. But it left a deep impression on her because fresh out of the oven muffins was an unexpected treat. That was when I learned the crowd pleasing quality of muffins. I don’t have a favourite muffin recipe. Part of the fun is trying out different recipes. The flavour is always familiar. I rarely branch out to more adventurous combinations because muffins just seem like the wrong canvas for experimentation. However, within the familiar confines of blueberry, lemon, banana, bran, chocolate, cranberry, pumpkin, I’m happy to play around with minor adjustments. Poaching fruit in spice syrup became a joy the year I discovered how well suited my Le Creuset is for the job. The pot holds low even heat beautifully that every piece of fruit cooks to perfection at the same time. Now, it always bothers me the poaching liquid is wasted. We put in so much good (and expensive) ingredients into the pot to infuse flavour. Surely there is a better way to make use of this pot of gold. Just last week, I was introduced to the magic of chia seeds. Vegan chia pudding has been popular among the raw food set for a while. The unique property of chia seeds to plump up in its soaking liquid to a pudding consistency opens up plenty of dessert possibilities. The first time I made chia pudding, I followed a very standard recipe of almond milk, maple syrup, and chia seeds. The combination was refreshing without being overly rich. 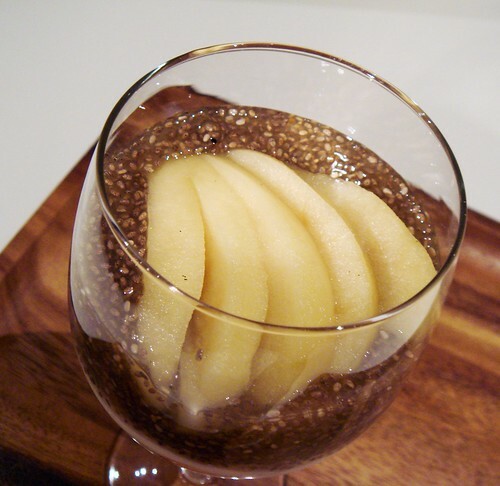 Putting chia and apple poaching liquid together seems to be a natural match. When my house is overflowing with shards of toffee, piles of spiced nut mix, mountains of cookies, stacks of brownies, and buckets of homemade caramel popcorn, it must be the holiday season, right? I’m not even arguing that as a food blogger, I prepare for the holidays months in advance for my imaginary publishing schedule. I honestly have a list of names to match with homemade gifts to be hand delivered this weekend. Three months ahead of my normal confectionary madness! It all came about innocently enough. I baked some cookies a couple of weeks ago. I then casually promised a good friend I will bring him a few when I see him this weekend in Minnesota. I realized I will also see many other friends from all over the continent. If I give them my small token of appreciation this weekend, I can save lots of money from shipping cost have I wait until December. Dollar signs danced before my eyes. Before I could even calm myself down with a mug of peppermint cocoa, I turned my kitchen into Santa’s workshop. When I see jars of pickles, my mind involuntarily wanders to the biology classroom of yore with its rows of creatures suspended in poisonous formaldehyde cocktail. Spearing a well preserved piece of cucumber pickle from its bath of seasoned vinegar, I feel a tinge of weirdness about its past life. I cannot help myself. Preserving the summer bounty is a regular part of my culinary life now but the mad scientist imagery never fades away. Reading the National Center for Home Food Preservation guideline, the stern warnings for food safety intimidate effortlessly. I feel like one misstep and I’ll have an arsenal of bio-weapons in my kitchen pantry. Knowledge and advance in science are wonderful and they certainly contribute immensely to food safety. But at some point I wonder how we all managed to survive the dark ages without making ourselves sick after every meal. In the interest of my own safety, I do follow the guideline and stick with lower risk projects such as jams and refrigerator pickles. I have an occasional cravings for pickled cucumbers especially when making egg or potato salads. Every time I walked by the knobbly kirby cucumbers at the market, I wanted to take them home. 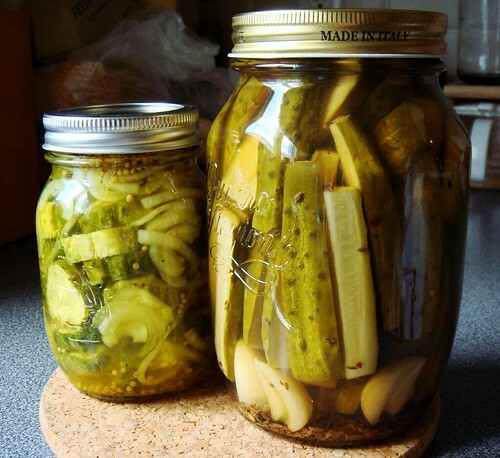 Last winter I received many jars of pickles from my CSA but the supply has finally dwindled. It was time to put on my mad scientist lab coat. Birthday is a big deal to me. I get so hyped up about the occasion that I have been known to do a month long countdown to the big day. One year my parents got so fed up that they sat me down and told me “it’s not about you all the time sweetheart”. After that, I learned to dial down my excitement in front of other people. Secretly, I still anticipate birthday with bated breath. Since this is my blog, I have license to be as excited as I want. I already made plans to spend the day in Berlin at the world’s biggest inline skating race. There is plenty of time for me to fret and dream about this upcoming trip. Today I suddenly remember a childhood treat I enjoyed at my birthday parties long ago. I requested for them a few years in a row and my parents indulged my sweet tooth. I did not think much about it when I was young but my adult mind now tells me it was not a usual treat. Take a step back with me and imagine that you are a kid in British colonial Hong Kong during the mid 80’s. Your home is a high-rise apartment inside a fire station headquarter by the harbour. The intermittent fire alarm is your soundtrack to playtime. You look out the balcony and see the fake building for firefighting rescue drills. Some days, the fire engine would reach its long ladder skyward with water spraying out to the building. Some days, you see groups of shirtless firemen playing volleyball at break time. Top Gun flexes its muscle in cultural influence as much as the guys flex theirs. Something strange started happening as I became more capable in the kitchen. I began to develop an uncontrollable ambition to feed everyone in close proximity. I know the importance of eating well and how it can influence our quality of living. The mere thought of my loved ones eating poorly just bothers me to the core. 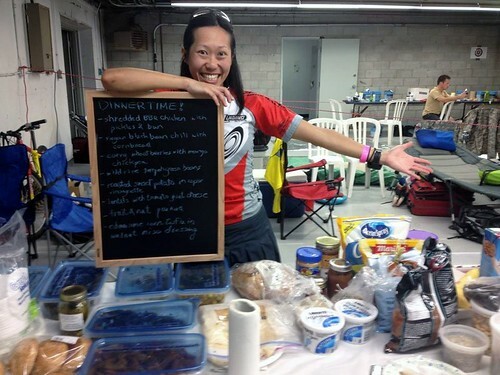 That was the driving force behind another year of my self-appointed position as Head of Catering Department at my Montreal 24h relay teams. The premise is simple. Each team of ten skaters relays on the F1 race track in Montreal’s Gilles-Villeneuve race way over a period of 24 hours. During this time, we make our home in the paddock next to the race course and life reduces to the simple matter of eat, skate, sleep. Fuelling our bodies in order to skate fast plays an important role. My inner control freak wanted to make sure me and my teammates eat nutritious food that tastes great with lots of varieties to suit different tastes. So of course I volunteered for the job.